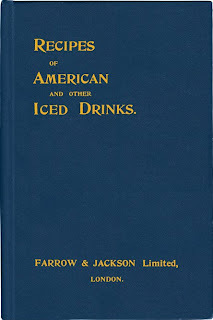 Here's a drink I found in Charlie Paul's Recipes of American and other Iced Drinks. As is often the case, when I started digging into the history on this one I found it to be a bit of a sticky wicket. 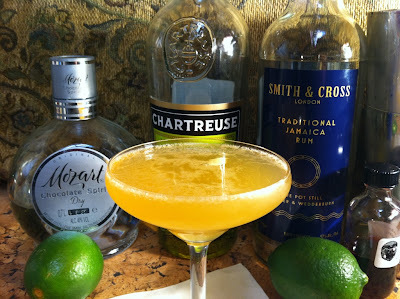 Harry Craddock's 1930 Savoy Cocktail Book, (from the Savoy Hotel Bar in London) is often given credit for this drink. 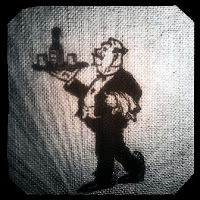 Modern references, such as found in the current Mr. Boston, do seem to reflect this recipe more than the original late nineteenth century versions. 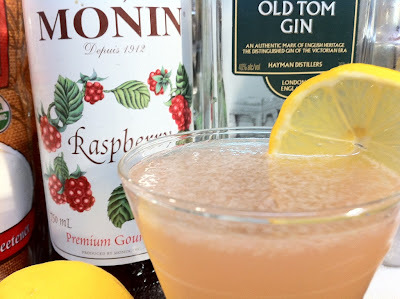 Translation: "Take a silver cup (mixing tins), ice chunks, half teaspoon of powdered sugar, a spoonful of raspberry syrup, juice of half a lemon, a glass of absinthe liqueur white, 1 half glass of old tom gin, finish with a little water, knock (shake), pass (strain), pour, lemon slice and serve." 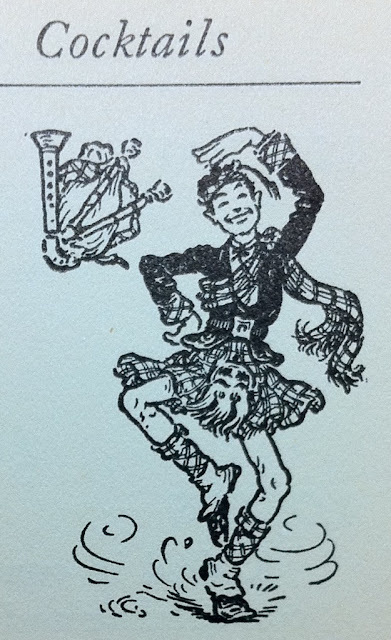 The drink must have had its followers, as though it is not in every book, it pops up here and there in many titles throughout the early twentieth century, and even continues to makes appearances to this day. Recipes published in 1936 and 1937 though seem to match much more closely with earlier recipes. So, after all the digging...how does Charlie Paul's recipe hold up? 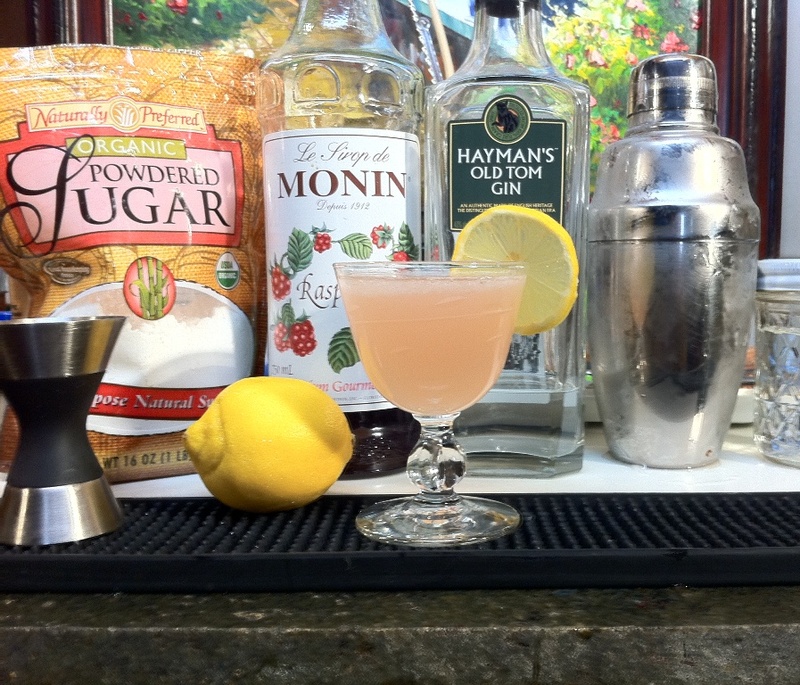 Shake with cracked ice, strain into "Maiden's Blush" colored goblet (if you have one of course) - garnish with slice of lemon on top. Usually when a recipe is spot on, it stays fairly true to form over the years. The fact that this one has varied so much gave me pause. I've even heard this described as a "large glass of gin". I tried it with a 2 oz measure of gin, as well as with a 1 1/2 ounce measure and the difference was extreme. The 2 ounce measure was hugely gin forward, and indeed, "large glass of gin" seemed an appropriate description. The 1 1/2 ounce measure was a completely different drink though. It was light, sweet and tart, with just a touch of the herbals from the absinthe and a "blush"of raspberry syrup...it was all in balance. I saw some very well deserved Midori bashing on Twitter today. As usual, it was in the context of being suggested alongside its usual "isle-mates"; green apple "pucker", margarita mix, vodka and other such nonsense. 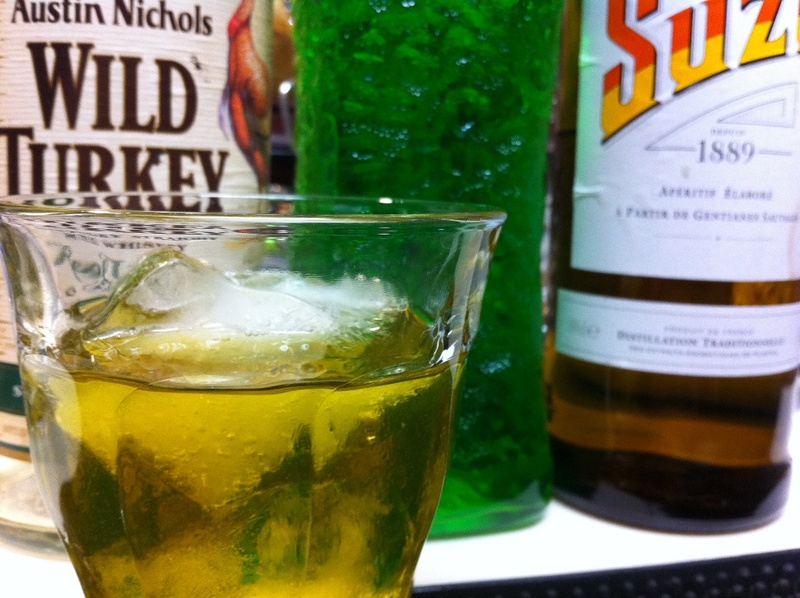 Suntory could use some support right now, and Midori is actually a high-quality liqueur. Midori's (ahem...again I must say, "very well deserved") 1970's reputation aside...it does not take much of the stuff to flavor a drink, and when your mix can actually temper this beast - it is of very good value and utility. Along with more good news that I caught on Twitter today regarding the eminent return of the gentian-cult favorite "Suze" to the U.S. market - I knew it must be time to post this drink. The "Monster Mash" has been an occasional part of my rotation for several months now. 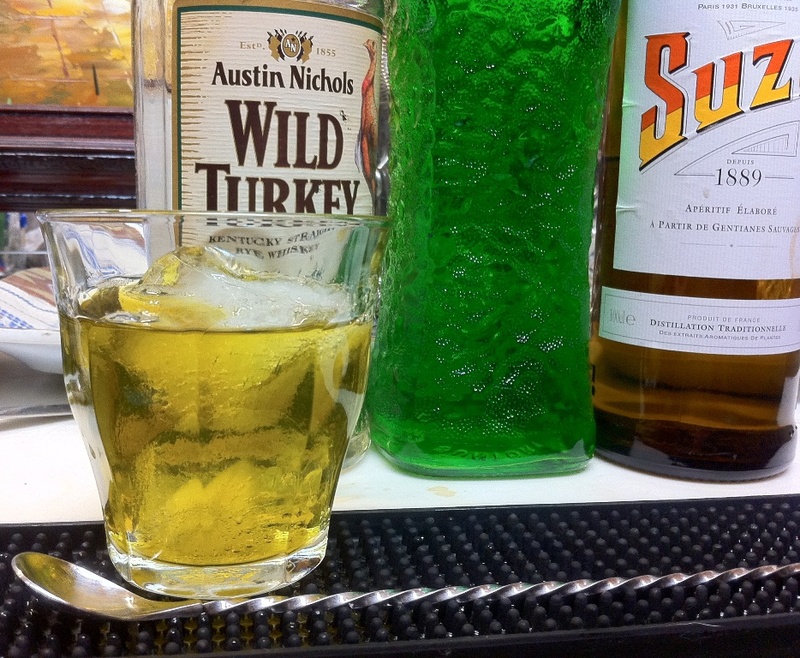 It is a combination of rye whiskey, Suze and Midori. I know that the mix sounds bizarre, it really works for me though. I hope you find it to your liking as well. I have found that robust ryes like "Wild Turkey Rye 101" holds up best here. It's quick and easy, and sometimes they go down well...really, really well. 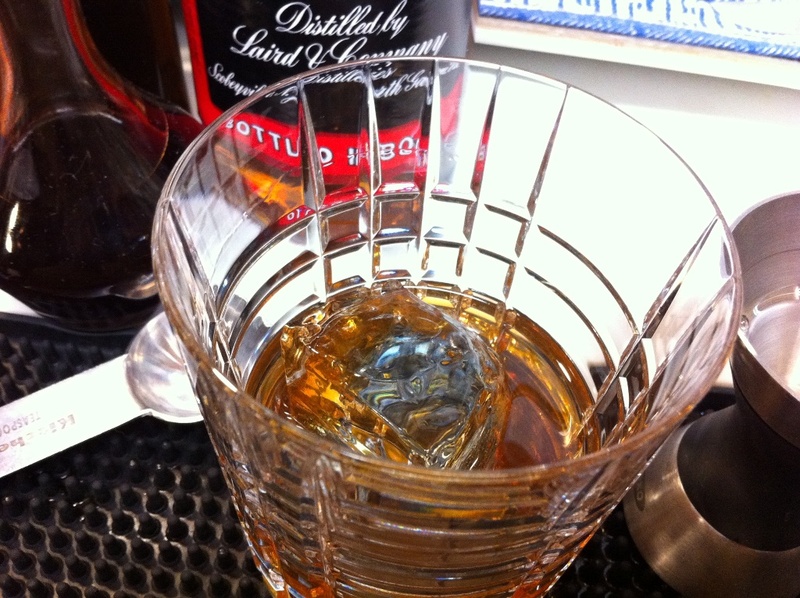 Build in glass over large ice cube, stir and enjoy. Build in glass over large ice cube, stir. Garnish with lemon twist. Fernet all the way! 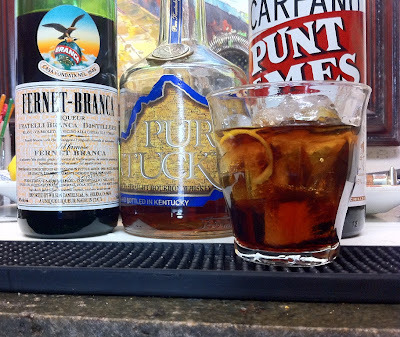 If you are already familiar with Fernet Branca...and enjoy it - then you should like this one. 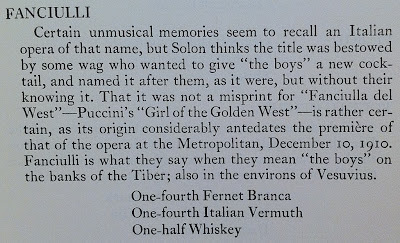 If not, it is probably best that you get acquainted with Fernet on its own first. To my tastes, the Fernet overly dominated the drink when I used a mild and sweet bourbon like "Four Roses Small Batch" along with the very sweet and aromatic Carpano Antica vermouth. It wasn't like a straight shot of Fernet, (not that there's anything wrong with that), the vermouth and bourbon certainly tempered it - but the mix was extremely Fernet forward. 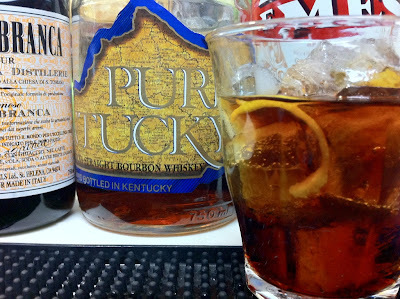 I found that when I switched to the more robust flavors of "Punt e Mes" vermouth along with a big flavored bourbon like "Kentucky Pure XO", that the Fernet was more in balance. 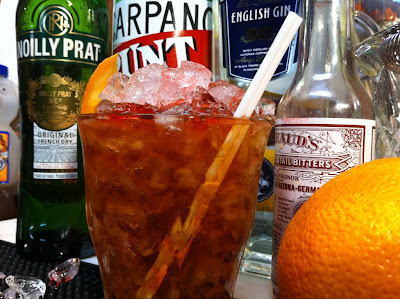 It struck me more as a "Fernet Manhattan", which I must say I've found to be very enjoyable. Frankly speaking, Fernet Branca usually lasts me quite a while, but this combination could be a "bottle drainer" for me! Whatever your preferences, this recipe is a great way to enjoy Fernet Branca. 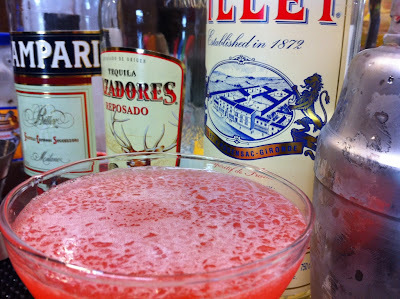 Here is another early tequila drink from Tarling's 1937 Cafe Royal Cocktail Book. 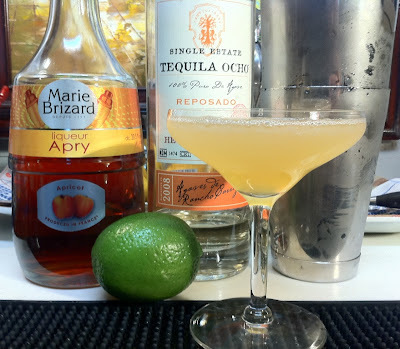 The apricot brandy brings a bold, sweet fruit flavor to balance the sour notes from the lime juice making the Toreador more approachable than the Tia Juano. 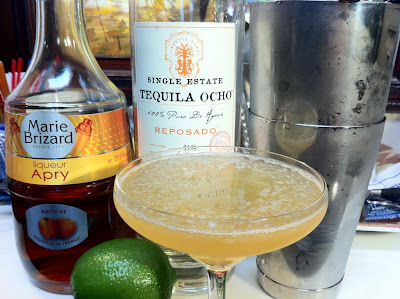 I went top shelf for this one and used the Ocho reposado from 2008 - and while it made for a very good drink, it was probably overkill. 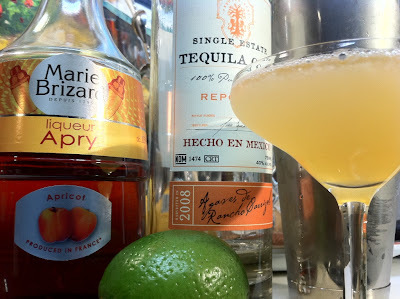 The really nice thing about this one is that you can use just about any decent tequila you want and get good results. 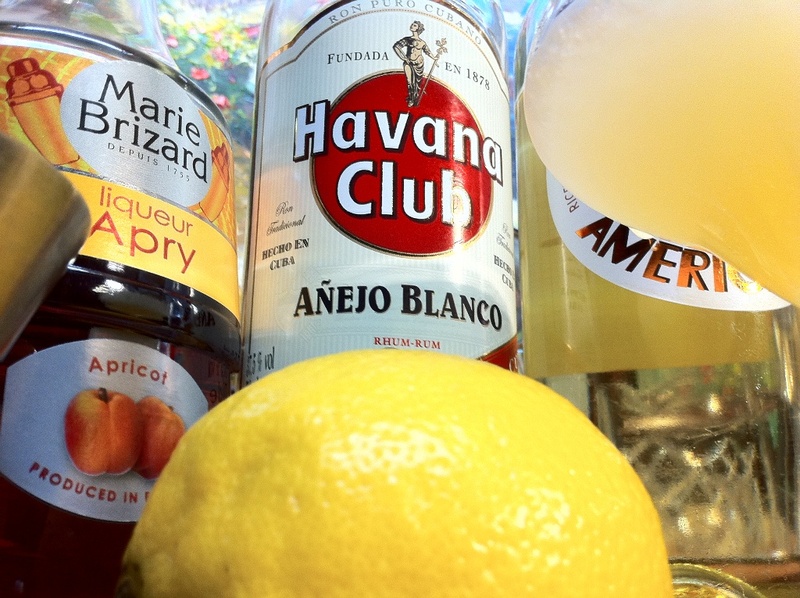 NOTE: This is also VERY good using Del Meguey Mezcal Vida and lemon juice!!! 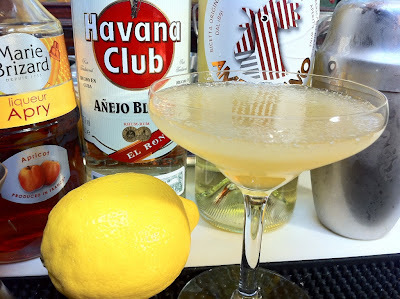 There were not many tequila drinks published by 1937 when this drink, along with several others, appeared in W.J. 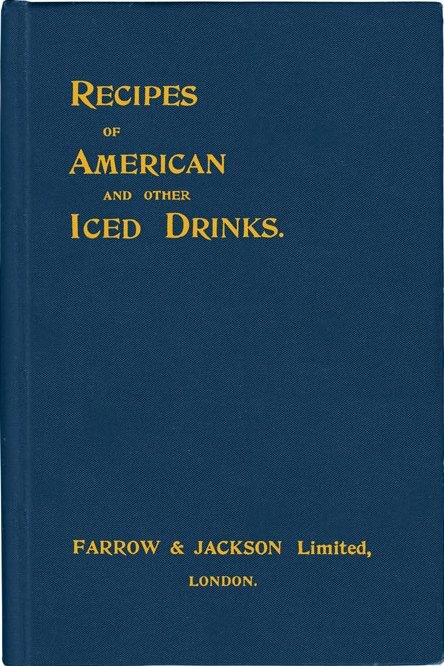 "Billy" Tarling's Cafe Royal Cocktail Book, which is one of the many good reasons that this title is so popular with UK bartenders. I really like this one, which is why I translated the recipe into a 4 oz drink rather than 2 ounces. Normally I try to make my drinks 3 ounces, but that would make for some inconvenient measurements here. I go Lillet blanc over my Noilly Prat here for its strong citrus notes as well as its thicker, silkier mouth feel. Since Lillet is not overly wine forward it tends to act more as a binder here, giving texture and character without being overwhelming. For the tequila, a nice reposado, but nothing too fancy. I'm a longtime fan of the Cazadores, which works very well here, and have been happy to see it become cheaper and more available in recent years. 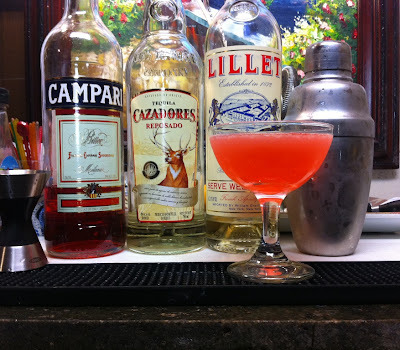 The Campari gives the drink a nice rosy color, and it's grapefruit flavors shine through and work really well with the tequila. 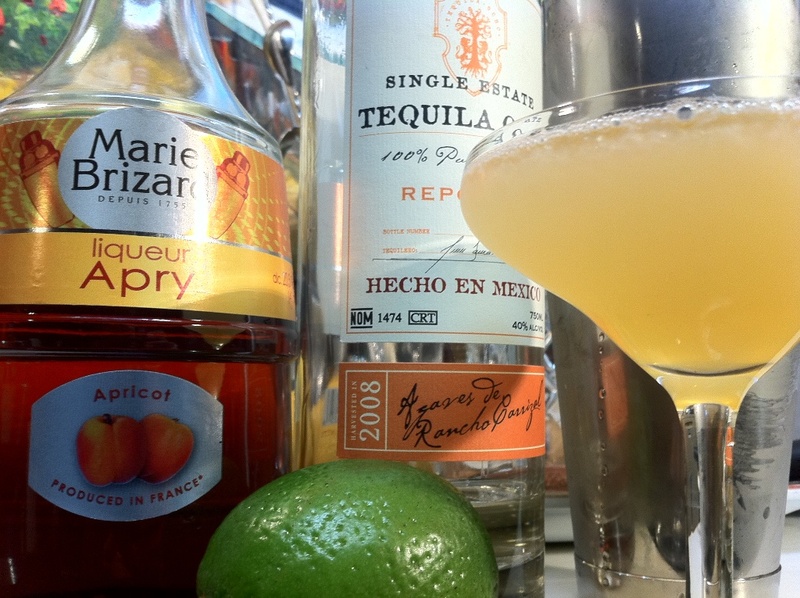 Ultimately, this is a tequila drink first and foremost, so use one that you like. I found that this drink warmed well too...just another reason to go for the big drink. (It's an easy one to cut in half though for experimenting). It is one for those who do not take sugar in their coffee or tea, as its flavors tend towards bitter and astringent - and tequila, yum. Enjoy. OK....I guess I can't let the day get away without one more quick post. It's called the Shamrock, it's green, and it's St. Patty's day - and I know that the Jimmie Lee, though good, will not be for everyone. So here's another for you if you happen to still be looking for a little more Saint Patrick's Day inspiration. 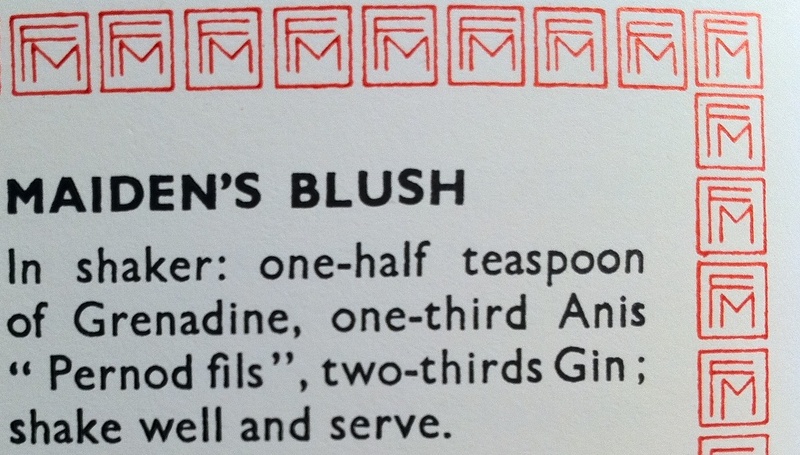 It comes from Hugo R. Ensslin's 1916 Recipes for Mixed Drinks. Stir with cracked ice, strain into a chilled cocktail glass and serve with an olive. This isn't the first time I've mixed this one, or the first time I've thought the olive was a bit much to be honest. It's a very strange drink, the olive's saltiness tends to be a bit distracting to me making me thing it could be a contrived garnish to go with the "green" theme. An actual shamrock, or bit of mint makes more sense to me. Still, like I said, it's not the first time I've made this one. 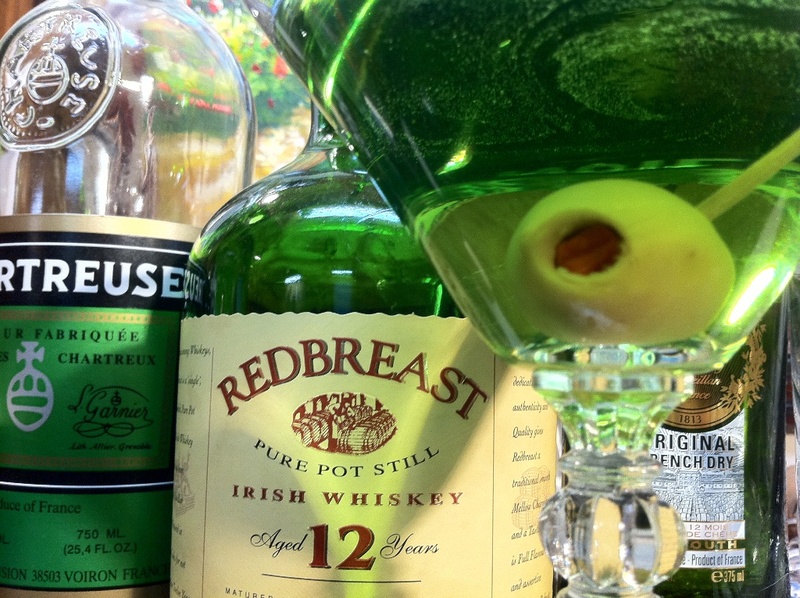 The fact that it is half Irish Whiskey still surprises as I sip away. 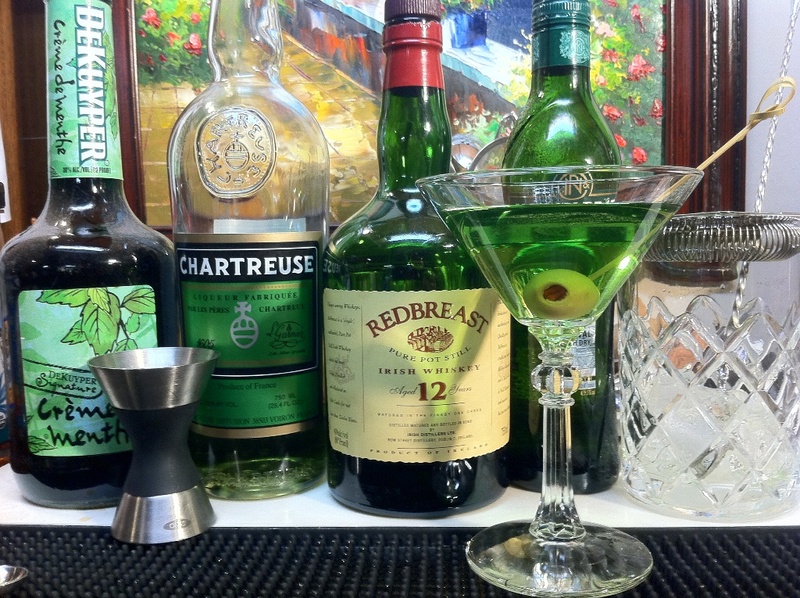 The Creme de Menthe just seems to add color and no strong flavor other than to lighten the strong herbals of the chartreuse green with a hint of mint. Overall, a very enjoyable cocktail. 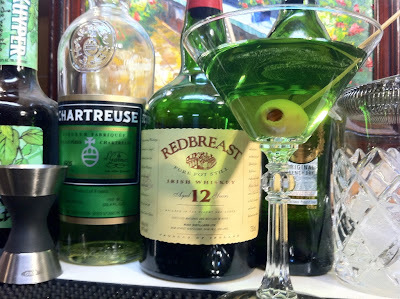 So, should you feel compelled to make a "green martini" for this or a future St. Patrick's day celebration, consider this alternative from the last known bartender's guide to be published in NYC before prohibition. For some reason, March is always madness for me. I know posts have been slow in the coming this month, but the day job has to come first! 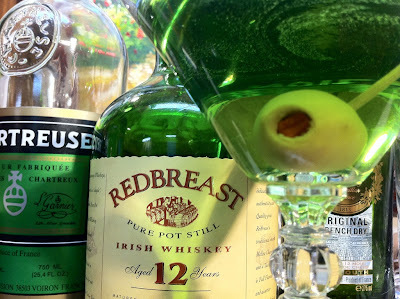 I'm sure my great-grandpba Parker, an Irish-American from county Cork, would not approve of my failing to post a good drink in honor of the day though...so to him I raise this Gaelic inspired riff on a classic perfect martini, because a great gin and vermouth drink is always good in my book! A good story, though hard to say if there is any truth to it. 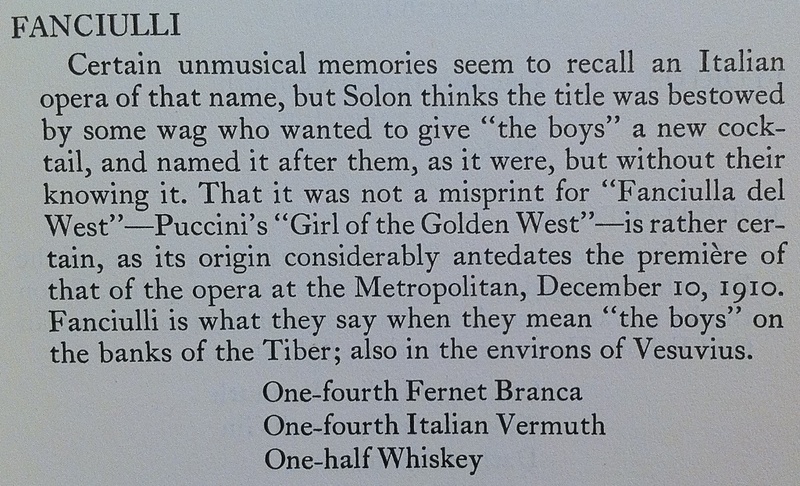 Johnnie Solon was apparently prone to embellishment in his fact giving. 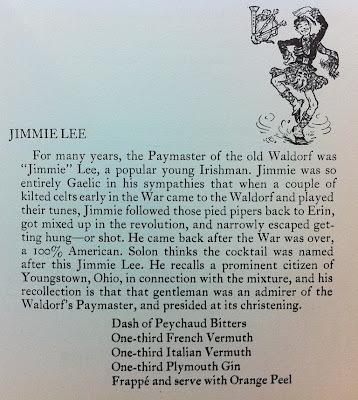 If nothing else, it's a great drink...and what can be more appropriate for St. Patty's day, and to honor my own ancestor, than a (good) drink named in honor of a Irish-American immigrant from the early 20th century. 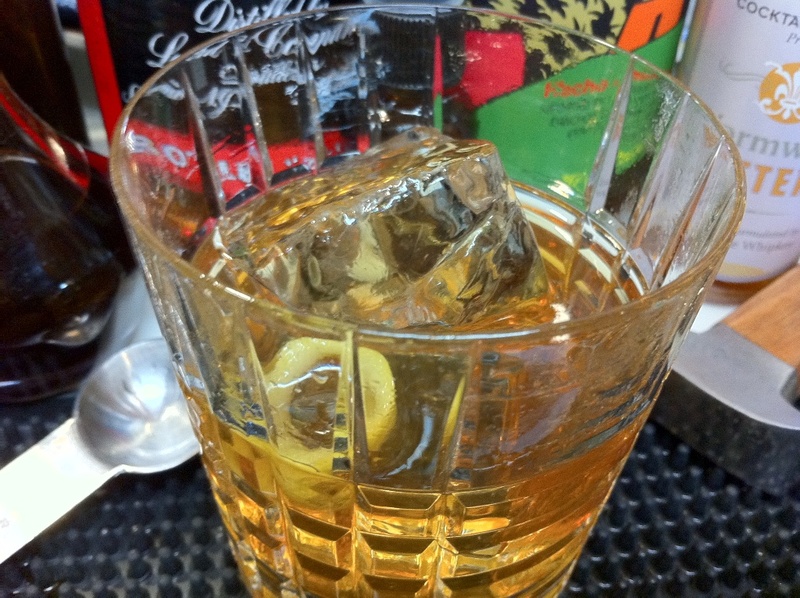 Stir the gin and vermouth well with ice, pour into a double rocks glass mostly filled with crushed ice. Add some more crushed ice to the top and add dash of bitters to the fresh ice. Twist a slice of orange peel over top, rub the rim of the glass and drop in as a garnish. As you could expect with 2/3 the volume being made of vermouth, the drink has strong herbal and wine characteristics, but the gin gives the drink a backbone. It reminded me a lot of a good a sherry cobbler (yes, they are growing on me). The Peychaud's bitters on top allows its aromatic qualities to really shine, especially with the added orange zest. It is quite refreshing, and seemed to give a hint of the warm weather around the corner, when crushed ice season will return in full force! Since the hint of spring is what this holiday has always really been about to me anyway, I chose this recipe to celebrate it. Happy St. Patty's everyone, I raise this one to you as well! If we are to attribute this drink to the town in Scotland by the same name, it would be pronounced "Coo-ros". There's not much out there with this rather strange name, so its not a bad bet that this drink was named after the town, or possibly after a patron from Culross that the Harry Craddock era Savoy Hotel Bar honored in the naming of this one. It does not seem very Scottish in nature, but Culross is a coastal town, and the maritime influenced Scots have been known to enjoy their fair share of rum. Since Havana Club is still made in much of the old Bacardi factory, in much the same way, and aged in the exact same spots as the old Cuban Bacardi, it is always your best bet when an old recipe calls out for Bacardi specifically. 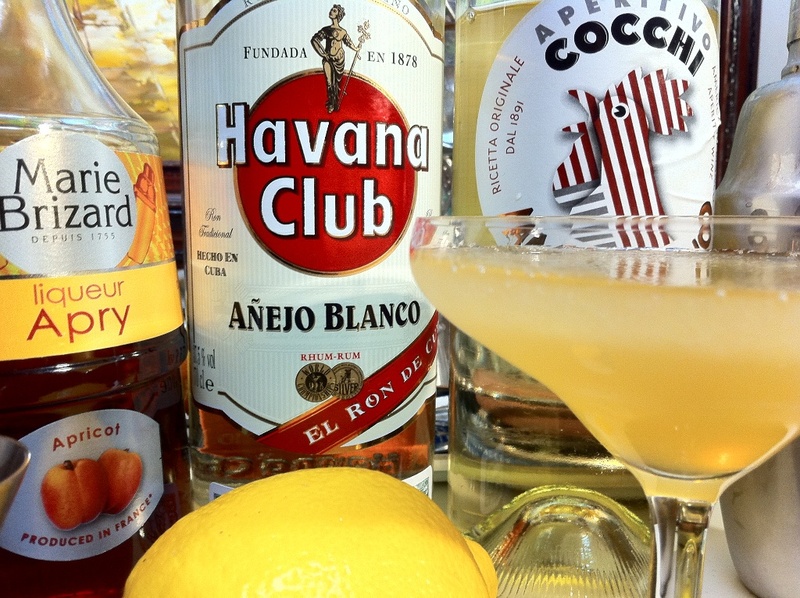 If you are unable to use Havana Club, go for Flor de Caña Extra Dry 4 year, a rum that is much closer in character to the original Cuban Bacardi than the modern Barcardi Dry made in Puerto Rico. The closest thing that we have on the market today to Kina Lillet, is Cocchi Americano (rather than Lillet Blanc.) 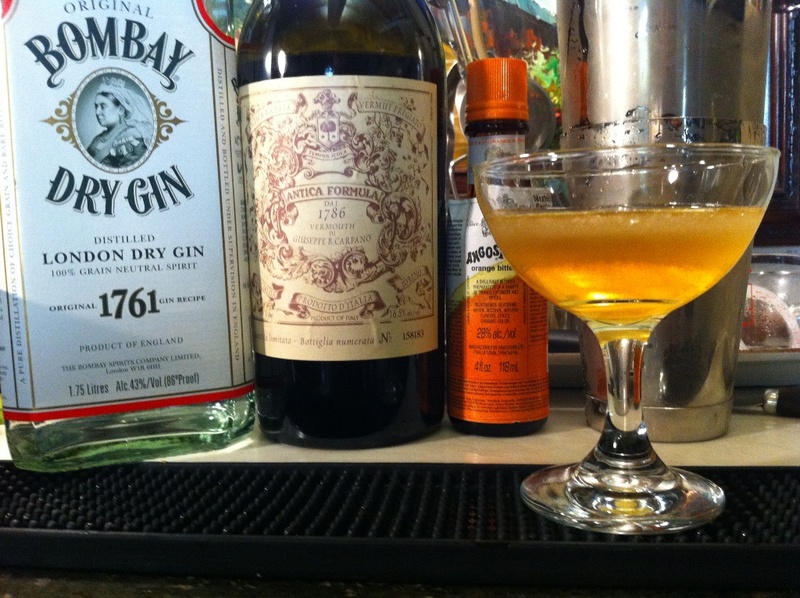 It is bolder and more spice forward than Lillet Blanc. They are both traditional white aperitif wines, Lillet coming from France and the Cocchi from Italy, and their histories are intertwined. For some recipes they can be used interchangeably. For other recipes, one works well where the other can be glaringly off. 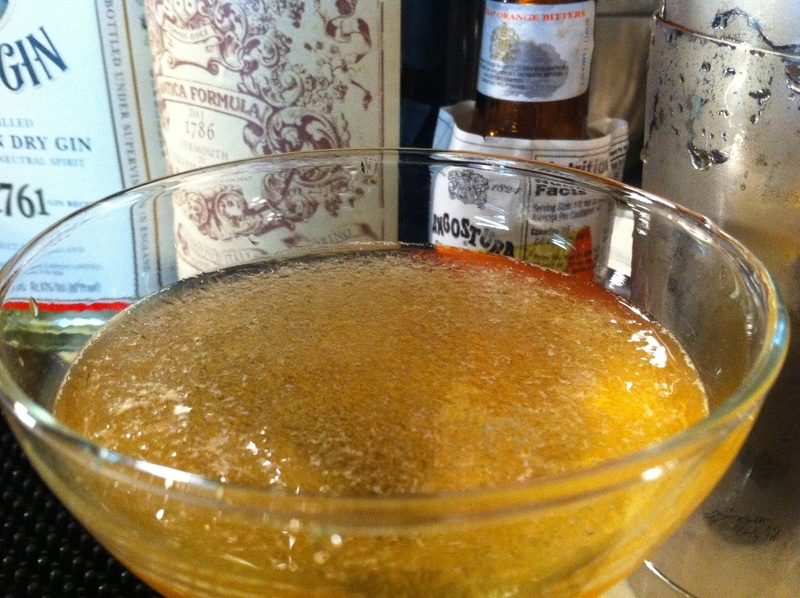 Since this one called for Kina Lillet by name, Cocchi Americano seemed the obvious choice. 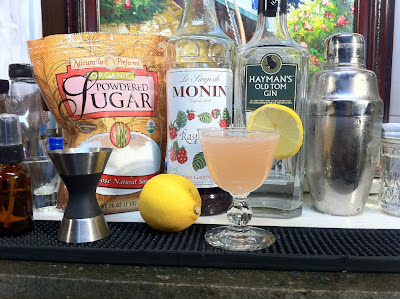 This is an interesting mix, you have the Cocchi and lemon juice on side, providing dry and sour flavors. On the other side you have the light, sweet rum and the big flavored Apy. If you have been able to secure a bottle of Marie Brizard Apry (it can be a challenge to locate) - this is a nice way to use it as it works very well here. It is just sweet enough to make up for the lack of sugar or simple syrup, and its apricot fruit flavor works great with the other flavors here making for a sweet, yet oddly dry mix. Here is one from "the lab" that I have spent the better part of the last few weeks trying to name, all the while while nursing a toothache. As I was getting ready to celebrate a trip to the dentist this afternoon, it struck me that "Toothache" was as good a name as any for this one! It's basically an "improved" version of the Neuva Jersey recipe I posted last December. As for the taste, your eyelids may stay closed a beat longer than usual as you sip this one. Taking in the slightly sweet, smoked apple against the bright, almost medicinal aromas of the absinthe and wormwood bitters, it is easy to get lost in your senses. This is an extremely enjoyable sipper, and one that has been well tested here in the lab I can assure you. 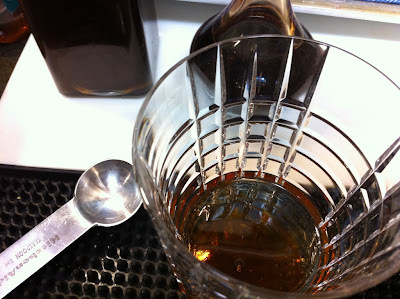 *Demerara syrup= Mix 2 cups of demerara sugar with 1 cup of just boiled water in a sauce pan. Stir until mostly combined, adding gentle heat if necessary to get the mixture mostly saturated. Pour 1/2 ounce (15 ml) vodka into clean bottle, then pour the sugar/water mixture into the clean bottle, cap, and shake bottle until sugar is completely dissolved (it won't take long at that point). Add 1 tsp of Demerara syrup to bottom of a double old fashioned glass. 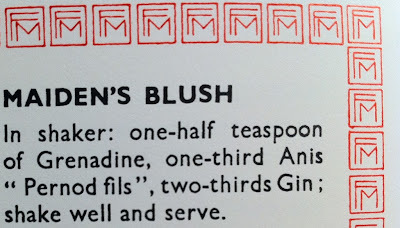 Then add 1-2 dashes of Angostura bitters. Add ice cube, stir the sugar/bitter mix for a few seconds. 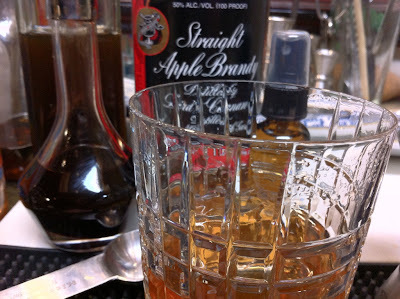 Then add 1.5 ounces of apple brandy. Stir again 4-5 times and then spray in a few squirts of absinthe from a small atomizer, enough to coat the interior of the glass. 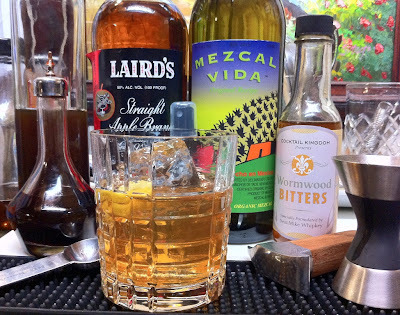 Add more ice and the mezcal, stir again and add few dashes of Cocktail Kingdom's Wormwood bitters if you have them. Add lemon twist for garnish and you're ready for a toothache, or anything else that may come your way. This one appears in Mud Puddle's Cocktail Handbook by Jeff Masson and Greg Boehm and was adopted from a recipe appearing in the 1953 edition of the United Kingdom Bartenders' Guild Guide To Drinks. Wow this one's good! Big rum, the chocolate is subtle and the yellow Chartreuse brings it all together. With only 1/2 ounce of lime juice this is a more booze forward sour. I used Smith & Cross for the Jamaican rum and subbed in Mozart Dry for the white creme de cacao. The dash of grenadine providing a little color and just a touch of sweet to back those boozy flavors off a bit. The results are a deep dark & earthy "daiquiri-style" drink. A challenging drink, but very much "yum" in my book. I'll admit that I was in the mood for something easy and gin forward when I came across this one. It's very much both of those things. A great choice for gin lovers. I have made and enjoyed a lot of shaken gin martinis in my day prior to discovering the wonders of the mixing glass. While common wisdom today would call for this to be stirred, and I would certainly agree looking at the list, I decided to follow the instructions on this one. This is very gin forward and does take me back to my early days with the martini, though this is much better than any I tried back then. Do be careful adding the orange bitters, it is easy to overdo them, 3-5 drops and your good. A healthy "dash" right from the standard sized bottle is likely to be too much. 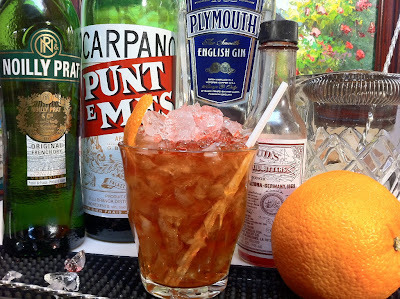 The drink is almost all gin, and that's what you end up tasting the most, but the touch of sweet vermouth adds just enough character to the drink to make it interesting. 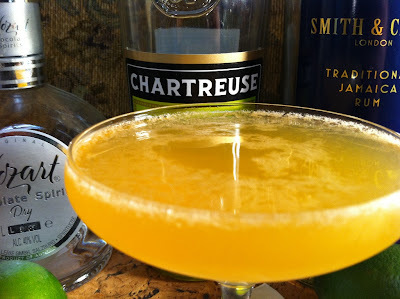 The orange bitters, when not overdone, makes up for the lack of zested citrus peel garnish and gives the drink some nice clean citrus notes. If you do stir this, give it a good long stir with lots of ice to reach maximum chill (2-3 minutes). This drink should be served ice cold - and since shaking is the most efficient way to reach that temperature it is not a bad way to go, especially when you are in the mood for something easy.